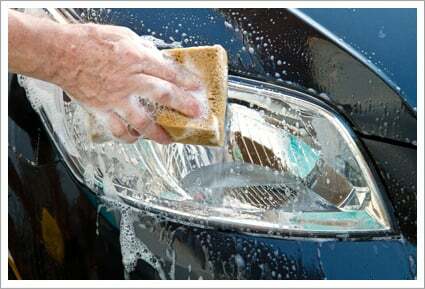 RoadHouse Wash Rack Inc. in Quad Cities offers car wash service. Welcome to RoadHouse Wash Rack Inc. the most convenient and cost friendly car wash service in The Quad Cities. With five different locations in and around the Quad Cities: Rock Island, Moline and Milan areas, we are committed to providing the best service when it comes to keeping your vehicle sparkling clean. If you are a towing company, local car dealership, delivery service, or other business that has several vehicles, then take advantage of our Commercial Discounts and save even more off of our already competitive prices. Keeping a clean vehicle is an important part of looking professional, so join our list of satisfied customers and get ready to dazzle yours. Commercial Discounts start at 25%, contact us for more details. At participating locations, RoadHouse Wash Rack is now working with UsAgain to help reduce textile waste in our landfills. Stop on by todonate used clothes and shoes to our USAgain drop-off spots to helpfamilies in need who can't afford new clothes and to keep our landfillwaste to a minimum. Find out more about the services we offer at the next page. Copyright © 2015 RoadHouse Wash Rack Inc. All rights reserved.